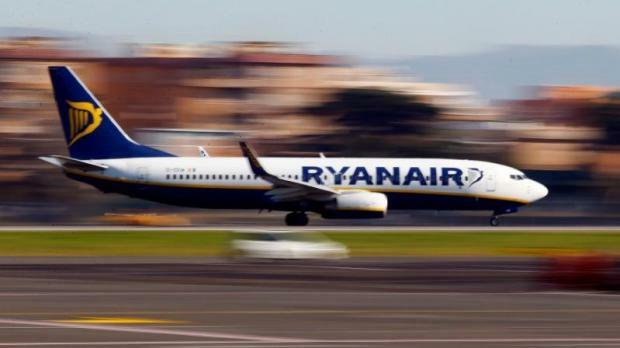 Italian pilots union ANPAC said on Tuesday a majority of its pilots had approved a collective labour agreement (CLA) with Ryanair in the airline's latest breakthrough in efforts to quell staff protests around Europe. The Irish airline, Europe's largest low-cost carrier, has suffered its worst ever strikes this summer, but reached agreement with the union representing Irish pilots last week and said it was hopeful it could secure more deals soon. "We welcome this first CLA with our Italian pilots and hope that it will be shortly followed by a similar agreement covering our Irish pilots," Ryanair Chief People Officer, Eddie Wilson, said in a statement. "We have invited our UK, German and Spanish unions to meet with us in the coming days so that we can negotiate and hopefully agree similar pilot CLAs in these other larger markets," he said. A "large majority" of over 300 Ryanair pilots in Italy approved the deal on Monday after eight months of negotiation, ANPAC said in a statement. Italy is Ryanair's second-largest market, behind Britain, with around 20 percent of its fleet based there. "ANPAC is very satisfied with the result, which gives greater protections and guarantees - on top of an appropriate economic compensation - to Ryanair pilots, completing the harmonisation path the Irish carrier began at the end of last year," the union said in a statement.